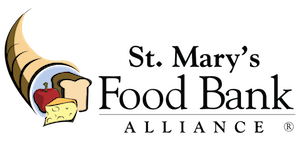 St. Mary's Food Bank Alliance is currently seeking a Receiving Associate for our busy warehouse. The Warehouse Associate is responsible for the accurate and timely inputting of receiving data into the Ceres system as it pertains to the flow of product entering the Warehouse. This position also assists the warehouse supervisor when necessary in the proper receiving, putting away, order filling, and transferring of food and non-food product via forklift or electric pallet jack. Accurately receives product into Ceres by weight or Case. Schedules appointments of incoming product. Verifies the inbound receiving log by initialing the log book. Accurately fills out the inspection tab located in the Ceres donation order screen. Checks temperatures of refrigerated and/or frozen product on arrival. Prioritizing the unloading of incoming product. Maintains and accurately enters information on the USDA log. Documents and records all incoming Food Drive donations on the food drive log. Assist with posting and put aways as needed. Assists in the unloading, order filling, and transferring of food and non-food product as necessary. Must keep area clean and submit daily cleaning log prior to end of shift. Must be flexible with regard to receiving hours. Performs other duties and administrative functions as assigned by the Operation Supervisor. High School Diploma or completed GED. Minimum of (1) year successful warehouse and data input experience. Ability to work effectively with others in a demanding environment. Good math skills; add, subtract, multiply, divide. Basic knowledge of safe food handling procedures.